Make a difference in your community, and help children battling cancer and their families! 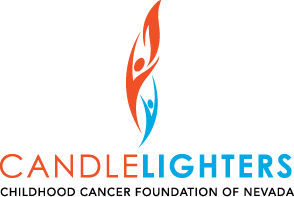 Candlelighters is always in need of small items to help us fulfill our families’ needs. Register your Smith’s Inspiring Donations account with Candlelighters, and they’ll make a donation based on your purchase(s) back to us. Sign into your digital account or choose “Create an Account” and fill in the information. Link your Rewards Card to by inputting Candlelighters unique code KD851 and clicking ‘Search’, select Candlelighters, and click ‘Save’. Every time you shop at Smith’s with your Rewards Card, they donate 0.5% of your total order to our nonprofit! Register your Amazon.com account with AmazonSmiles, select Candlelighters, and a portion of your purchase will be donated to us! All Adopt-a-Family Sponsor forms must be completed by November 10, 2018. Thank you for making this holiday season brighter and a little less stressful for our Candlelighters Families! Can't Adopt A Family? Donate Instead! We want to thank you for being a part of this tradition, it would not be possible without your generosity. Are your looking for a fun and unique way to celebrate your child’s next birthday and teach them about giving back to their community? Join the Peter Pan Birthday Club! It’s just like every fun birthday party that you plan with games, cake, and ice cream, but instead of presents for the birthday boy or girl, donations are requested for Candlelighters. Also, for every registered Peter Pan Birthday Party, The Peter Pan Children’s Fund, will send Candlelighters an additional $100 in honor of the birthday boy or girl. P.S. Birthday parties of any age are strongly encouraged!